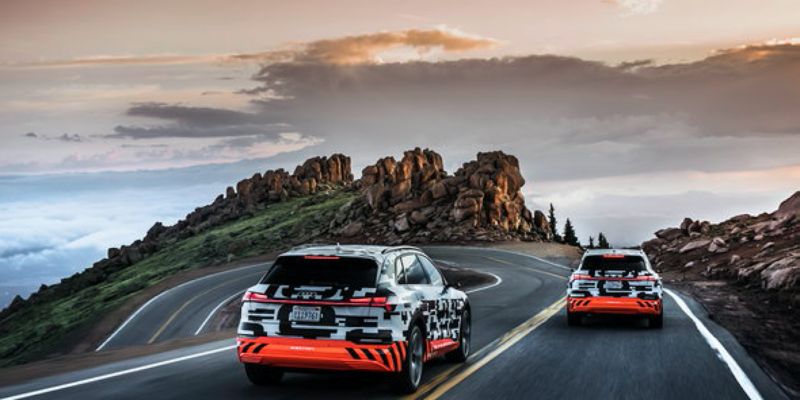 The fully electric Audi e-tron prototype SUV combines 300kW of power, a sub-six second 0-62mph time and a range of more than 248 miles on one battery charge. Given the former figures, perhaps the range figure is the most impressive, and the key is an innovative recuperation concept. The recuperation system contributes to up to 30% of the range and works with the two electric motors and the electrohydraulically integrated brake control system. The real innovation is that the system combines three different recuperation modes: manual coasting recuperation using the shift paddles, automatic coasting recuperation via a predictive efficiency assist system, and brake recuperation with smooth transition between electric and hydraulic deceleration. Up to 0.3g, which accounts for over 90% of all decelerations, the system recuperates energy solely via the electric motors, without using the conventional brake, which feeds energy back to the battery. The driver can select between three degrees of coasting recuperation using the steering wheel paddles. At the lowest stage, the vehicle coasts with no additional drag torque when the driver releases the accelerator pedal. At the highest stage, the vehicle speed is reduced noticeably, meaning the driver can slow down and accelerate using only the accelerator pedal. The wheel brakes are only activated when the driver decelerates by more than 0.3g using the brake pedal – in an emergency situation or performance driving, for example. In this instance the brakes will respond extremely quickly, due to a new electrohydraulic actuation concept, a concept which Audi claims is the first OEM use of such a concept in a series production vehicle with electric drive. So how does electrohydraulic actuation work? Basically a hydraulic piston in the compact brake module generates additional pressure and thus additional brake force for the recuperation torque. When automated emergency braking is activated, the time between initiation of deceleration and maximum brake pressure between the pads and disks is a mere 150ms. According to Audi, this setup reduces braking distance by up to 20% compared with a conventional brake system. Depending on the driving situation, the electrohydraulically integrated brake control system decides – electrically on each individual axle – whether the vehicle should decelerate using the electric motor, the wheel brake, or a combination of the two. The brake pedal is decoupled from the hydraulic system, but the company’s engineers say this is no cause for alarm as the transition from engine brake to friction brake is so smooth, the driver will not notice it. 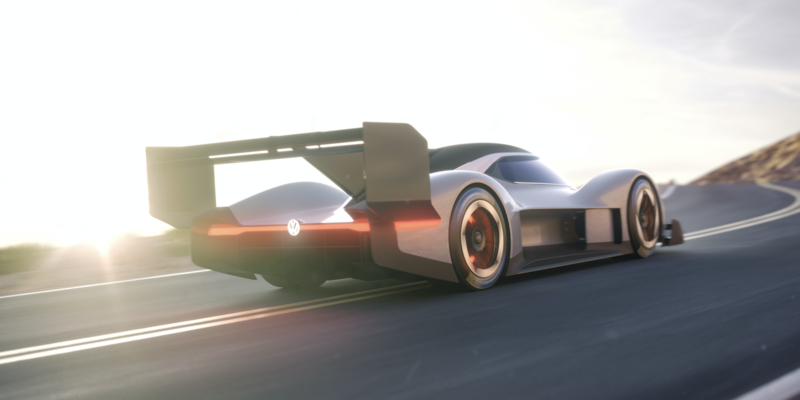 The system has been given a tough test: the Pikes Peak challenge. While many drivers focus on the time up the legendary 4,302m (14,115 ft) peak, Audi was focusing on the downward journey, aiming to achieve an additional kilometre of range for each kilometre driven downhill. On its 31km (19 mile) high-speed descent drive, the electric SUV recuperated energy with up to 300Nm of torque (221.3 lb-ft) and 220kW of electric power – more than 70% of its operating energy input.